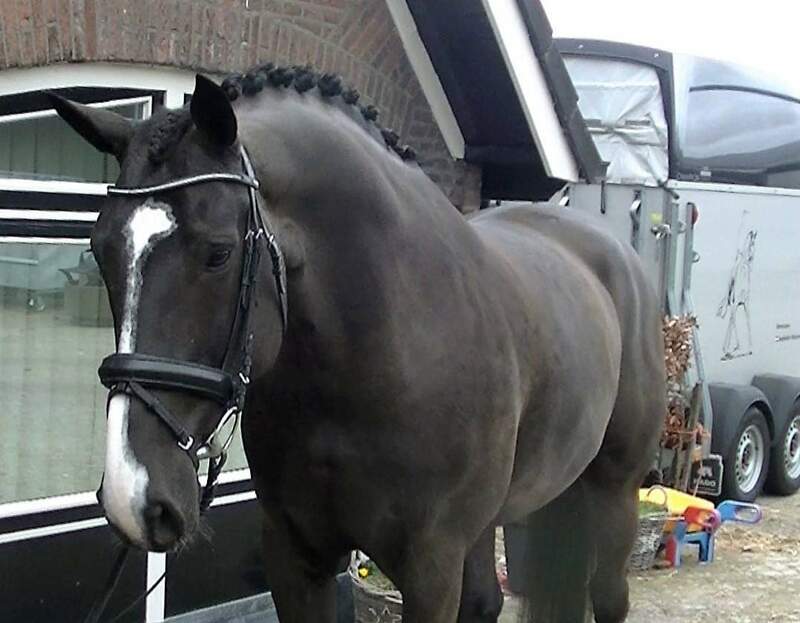 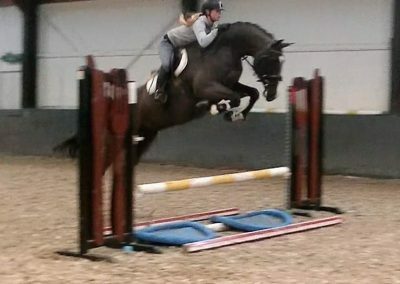 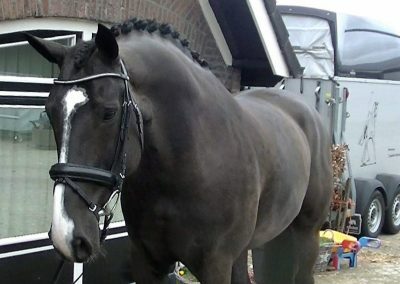 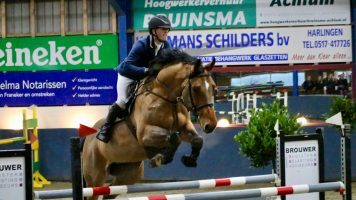 EQUITATION HORSE / AMERICAN HUNTER / BEAUTIFUL ALL ROUNDER WITH QUALITY. 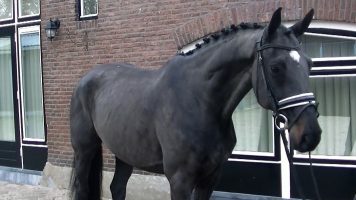 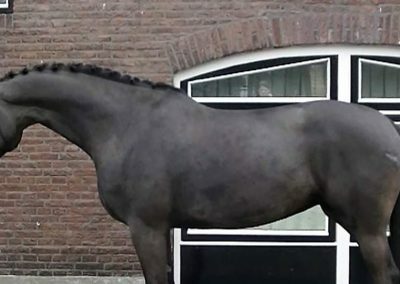 This is a bargain horse for someone who wants a beautiful quality horse to play about with. 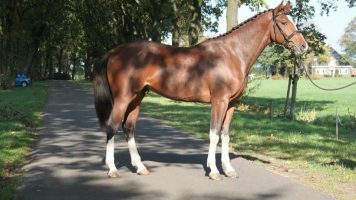 She has been backed and produced up to 5yo then was selected to become part of a private breeding programme by the owner. 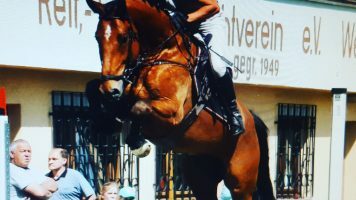 She has since had her foals and now returns to work as a sport horse. 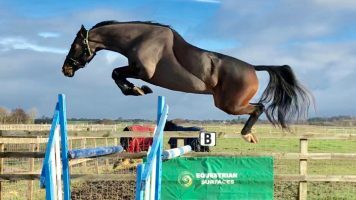 Although she is behind in terms of her ring experience she has all the benefits over a young green horse that she has already seen much of life meaning you can really fast-track her training without worrying its too much too fast. 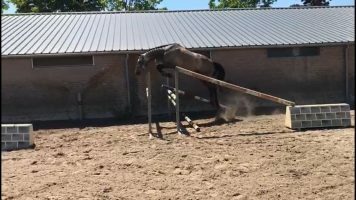 She is totally non-spooky, not phased by anything and is 100% brave and easy in every possible scenario we have put her into. 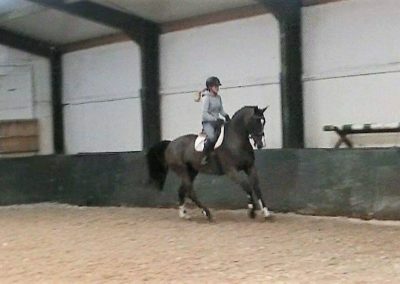 Her flatwork is coming along nicely and for saying she has been a mother these last few years she really has picked everything up again really fast. 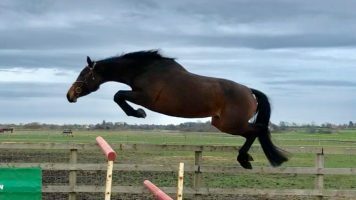 She has lots of blood (41.52%) and power over a fence, with enormous scope she jumps any fences put in front of her including all spookies and water trays etc etc. 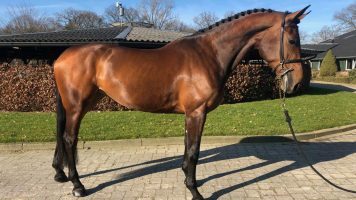 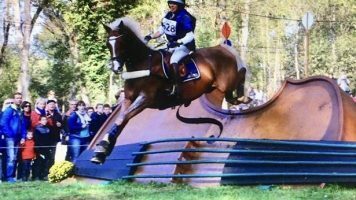 This is a super horse at an incredible price band due only to her lack of ring experience which is really of no consequence – she is ring ready now and will very quickly be able to catch up. 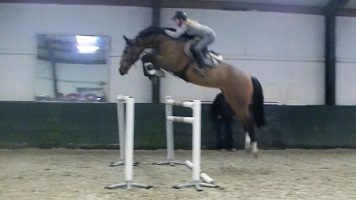 Indeed, if she were already jumping the 1.30’s she would be three times the price. 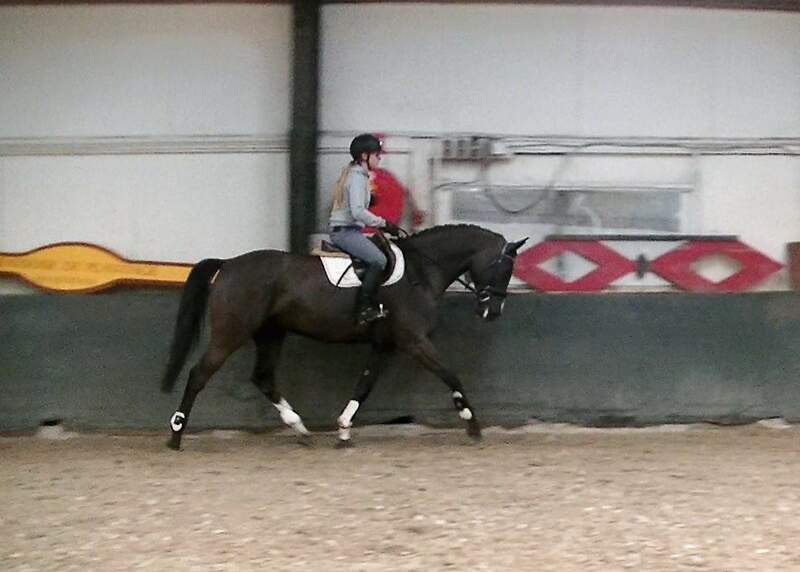 For hunter and equitation classes she is already almost there and just needs the finishing touches. In the stable and to manage she is as easy as can be even for riders off the ponies. 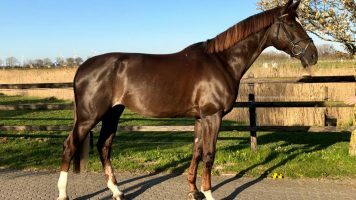 From the famous Karin stamm damline which as you would expect is responsible for countless Grand Prix Showjumpers, dressage horses and approved breeding stallions, and already proven for her foals, there’s no reason this mare cannot go back into a breeding program at any time. 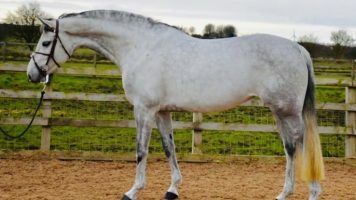 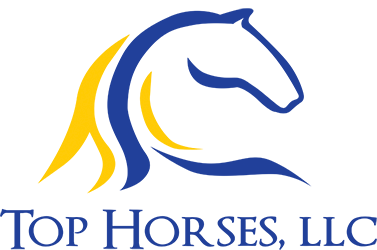 A super horse for any budget buyers or producer dealers looking for a horse to develop.